I am allowed in the Sikh temple, in Kampung Bahru. 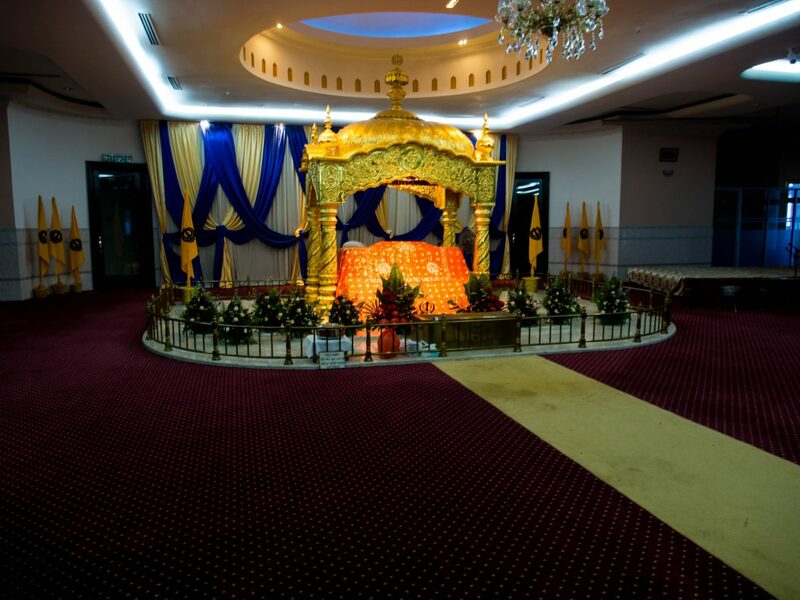 A gurdwara. A man sitting on a bench in front of the temple waves me in. He does not say much. Take off your shoes. And also your socks. We wash our feet. Then take the elevator, one story up. He leads me into the prayer hall. It is quite dark. There is not much to see except for the shrine (sorry can´t find a better word – they don’t call it a shrine). He leads me into the hall and gestures I can look around. Not much decoration. One man is praying, or meditating. I can take a picture. I count on my image stabilization. This entry was posted in Uncategorized on 21/01/2018 by fromthepolder.